CDTA announced Monday that is now has a name and sponsor for its upcoming bike share program: CDPHP Cycle! (with the exclamation mark). The system is set to launch this summer. The first year of the bike share will include 160 bikes distributed among 20 stations across Albany, Schenectady, Troy, and Saratoga Springs. CDTA is planning to increase that number to 300 bikes in the second year. Some of the bikes used during the 2014 Capital Region bike share demonstration project. CDTA is currently working to figure out the initial locations for the 20 bike stations that will be part of the bike share program. Lauren Bailey, CDTA mobility manager, said Monday in an interview that the transit org is using mapping systems to look at factors such as population density and topography (hills). Another factor that will be folded into the selection process: the location of already-existing bike infrastructure -- Bailey pointed to the Madison Ave Road Diet as example. CDTA is also talking with public orgs that might be have ideas about good locations or be interested in hosting stations, and it will soon be launching an online suggestion site so members of the general public can provide ideas. Bailey said this whole process is moving forward with the knowledge the system will need adjusting after people start using it. As she said of what CDTA has learned from people involved with bike share in Buffalo: "You think you know what you know until people get on the bikes." The way the bike share system operates will allow some flexibility. The electronic tech for renting the bikes is on the bikes themselves, and they don't have to be returned to the bike stations. They can be locked pretty much anywhere (the bikes have GPS). So CDTA will be able to learn where people are taking out, and dropping off, bikes and can adjust from there. 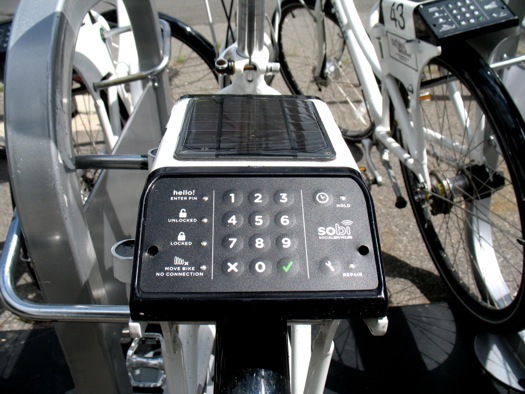 A keypad on one of the bikes during the short 2014 test. Bailey said the overall goal of the bike share program initially will be to extend people's transportation options from nodes in the CDTA network (example: The upcoming Uncle Sam Transit Center), and to cover short-distance trips within downtowns. The second phase of the program will focus on reaching out farther into neighborhoods with additional bikes. 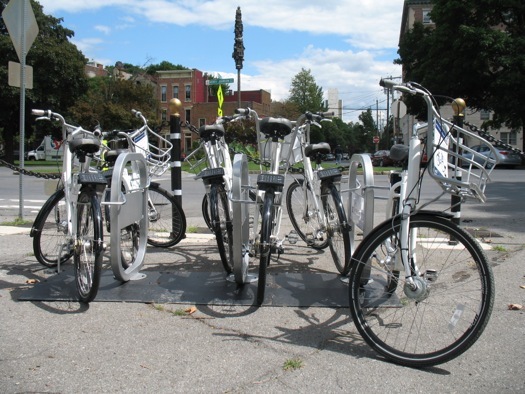 Jonathan Scherzer, CDTA's director of marketing, said those initial goals are based on the experience of bike shares in other cities, which have indicated people primarily use the bikes for short trips to entertainment or recreation. 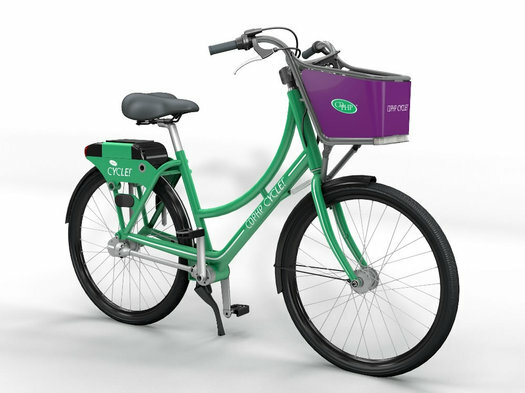 To use one of the bike share bikes, people will have to sign up for a Social Bicycles account. As you'd expect, you can do that online. But CDTA is also planning for that to be possible via a call-in center, and eventually via a walk-up interaction. That account will allow people to pre-load payment for renting a bike, and then they can punch in their pin on any bike's on-board keypad. There's also a Social Bicycles mobile app, which Scherzer said has been popular with users of other bike shares. 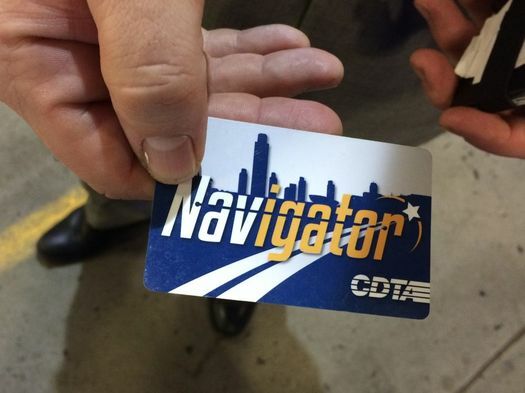 And CDTA's new Navigator cards will also be an option. People will not need a credit card to secure the bike, but, at least initially, they will need to be able to load money into the system via a debit card or something similar. Lauren Bailey said CDTA is sensitive to access issues for the bike share. And Scherzer said they're looking at ways of providing the service to a wide range of people, with the possibility of maybe offering access via social services orgs. "We want this to be an affordable option for people," Bailey said. The first-year cost of the program is in the $750k-$1 million range, Jonathan Scherzer said. That's roughly split 50/50 between the cost of acquiring the bikes and the operational costs of the program. The money backing the bike share is coming from a variety of sources, including: CDTA capital funds, sponsorship, and membership fees. CDTA is also hoping to land funding via a federal grant. Scherzer said CDTA was eager to get the program started: "We weren't going to wait for funding to fall in our lap." Lauren Bailey said CDTA is currently aiming to launch the program in late July, though that could change based on how details come together. CDTA and CDPHP advertise on AOA. Is it just me or does the CDTA logo appear to be conspicuously absent from these bikes? This is the problem with these privately financed bike share system. Ultimately, their interests are prioritized. I'm surprised the wannabe Uber shills haven't flooded this with comments about how incredibly stupid it is to even think about a bike sharing program when Uber would eliminate the need for it.